CBCS is announcing some changes to our Authentic Signature Program. CBCS is dedicated to keeping the integrity of the ASP at the highest level, and over the last 12 months, it has become evident that change was needed. We did not make these changes sitting in a boardroom, we actively solicited and received feedback from both our customers, creators and Authorized Witnesses. The overwhelming area people thought we could improve upon is the security of the program. Most people think the ASP has grown so big that tighter restrictions and more safeguards needed to be in place. We agreed. After very careful consideration CBCS has decided to put the following changes into place. CBCS is going to create two categories of Authorized Witnesses, Personal Use, and Facilitators. Personal Use AWs can witness signatures but are NOT allowed to take other people’s books and witness them being signed. Facilitators are those AWs who can take other people’s books to a signing event and witness signatures for them, they are allowed to solicit for these books. Facilitators have to meet a minimum annual submission volume in order to qualify as an Authorized Witness. Anyone can request to be an Authorized Witness / Facilitator, the program director will review each request and make a determination based on past submission history. Facilitators / Authorized Witnesses must apply for Facilitator/AW status annually. · Facilitators have 60 days to add signatures to books from one signing event/show to another signing event/show, previous restrictions and documentation still apply. · Facilitators must submit all books within 10 business days of the last signing event, submissions after 10 days risk not qualifying for an ASP (yellow label) designation. Personal Use / Authorized Witnesses must apply for AW status a least two weeks prior to the signing event. CBCS will be conducting background checks on applicants, which must be completed prior to approval. 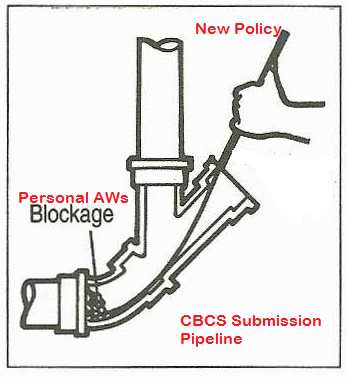 · Personal Use AWs are not allowed to witness other people’s books and have to submit at least 10 books per event. · Personal Use AWs are not allowed to have their books travel to other events to add signatures, unless the additional signatures are handled by a Facilitator, with proper documentation (multi-event forms). · All books have to be submitted at the end of the signing event, or given to a facilitator to add signatures. Mail in submissions have to be postmarked within 2 weeks of the signing and/or sketch event. International AWs have 1 month to submit their signed books to a facilitator or CBCS (due to customs sometimes holding packages for several days or weeks). Book(s) submitted to artist or writers, by mail, is taken into consideration, and will be given 10 business days from the date the artist/writer signs off on the Signature/Sketch Ops form, which could also be mailed directly to CBCS, with the submission forms completely filled out. Due to changes in CGC's witnessing procedure that effectively breaks the chain of custody on witnessed signatures and could have a potential negative impact by compromising the integrity of the Authorized Signature Program, CBCS will not be able to honor CGC yellow label books with signatures dated from 2019 and beyond. Going forward any comics removed from a CGC holder and submitted with signatures dated 2019 and up will need to have those signatures verified through the CBCS VSP program. Any CGC yellow labels dated prior to 2019 are still eligible to be transferred to CBCS yellow labels. If you are lucky enough that they are actually at your convention... Only ever had CBCS attend one convention I was at. I'm all for reigning the AW/ASP program in. But shouldn't the facilitators be the population who has a minimum? I may get 10 books signed at a show but may not want them all graded etc. I just dropped off an order at the post office a couple of hours ago which hopefully squeaks in before these new regulations take place. It all just got real.Maybe going to cgc after all.Thats a bummer.I never was so thrilled about cgc but lately they have been putting out comics on time and getting pressed much faster on time.Will have to think about it.Comicpalooza is coming up and i guess i have time to think witch on to send of to. bigger & better things coming, this is what CBCS has been pushing, lol. I am glad to hear that CBCS is taking concerns regarding the AW program seriously however the 10 book minimum for Personal Use seems a bit arbitrary. If the push is to dissuade personal witnessing then maybe just do away with it entirely and have tiers for Facilitators with a concordant fee structure? The fewer books you facilitate then the more you pay per submission, as opposed to the more books you facilitate the less your facilitation fees are. Idk, seems like personal books are taking the biggest hit here? I’ve never had a problem doing this, they are quite friendly and accommodating people. @spaulus Bravo, sir. Especially the background checks and where the self-witnessed books must be submitted at the end of the event. While not a perfect solution for the self-witnessing (as you know I’m against it entirely), this is far more secure than the prior rules. I would love to use their booth...please come to my conventions!! This sadly might push me to cgc as they are the only ones that attend the con I go to. Just confirmed that the shop I've used a few times in the past still does CGC SS submissions - sorry CBCS - just lost all my signature books, unless CBCS is at the show (unlikely) and except for the red label. You have not got Stan signed in some time i guess.Stan is up to $130 now. So what would prevent a personal AW from submitting solicited books under their name and then distributing them to their various customers? I think Making the 10 book minimum rule would encourage more personal use AW'S to fill in the gap with other people's books. I get that they can't solicit on Facebook but there are other avenues that CBCS would never be able to detect. Why have Personal Use AW’s AT ALL? I can’t think of a single way something of the sort helps legitimize the program. The only thing I see it doing is raising red flags. Well this should help to improve turn-around times, though I don't think a reduced number of submissions is the method they were looking for to accomplish this. 1. Who keeps their status as an AW facilitator? 3. What is the process to be a facilitator? If you guys have already decided on this then for transparency the list should be shown. I really think this will lower TAT's becuase submissions will surely decrease. This announcement has made this a crappy day for me, thanks CBCS for your continued support! It is likely an omission, but the opening post doesn't actually say how long personal use AW's have to turn in their books to CBCS. Some commenting here should keep in mind that CGC has nothing like a "personal Authorized Witness". Even CGC signature facilitators can't witness their own books. And CGC facilitators have pretty high minimums. So the Personal AW program is rare opportunity for "regular folks" to have an opportunity to participate in the signature witnessing field. It seems unreasonable to complain about that which is truly a gift and probably needed some tightening up. I do wish the 10 book limit was 1/2 that, but let's be reasonable. The number of signed books turned into CBCS has to be worth the time it took to review someone's application and at least the first time doing a background check. As easily as one can see the section in bold above as a positive I personally see it as something that is leaving the window wide open for corruption and should not exist. I’m actually amazed it’s allowed. There’s just far too much money to be made and unfortunately way too many scumbags in the hobby for this to be allowed. I truly hope it is discontinued one day. @shrewbeer Well, obviously you can't submit books the end of the signing event if there is no official CBCS presence. I'm sure that CBCS intends for personal AW's and Facilitators alike to have enough time to rebag the books, wrap, properly package and take to the shipping service. @IronMan @shrewbeer From the original post. I bolded the line about mail in submission. I assume this would be for a show where CBCS has no presence. This should make life interesting for facilitators. I just completed s large submission. After paying two facilitators upfront to help get me some of the signatures I had a very tough time getting completed paperwork in a timely manner. I would hate to imagine shelling out a large sum for an artist like Dell'Otto or Stan Lee only to have my submission denied due to a delay or error caused by someone else. The latest changes are sure to separate the men from the boys.